Aspiration Training and Kanes Foods are proud to be working together to develop the skills of their production teams across their five factories. Kanes Foods are a leading supplier of freshly prepared foods with over 1700 employees across Worcestershire. They have always invested heavily in the development of their employees but have now enhanced their training through the introduction of apprenticeships and accredited knowledge qualifications. The company recognises the many benefits of apprenticeships to them as a business and the individuals involved and are committed to offering these widely within their business. So far, Kanes have enrolled 14 of their production teams onto the apprenticeship with plans to enrol a further 40 over the next few months. They have implemented a comprehensive development programme for all current and future apprentices, including stepping stone qualifications, to ensure apprentices are prepared, and off-the-job training to ensure apprentices have the time they need to develop skills. 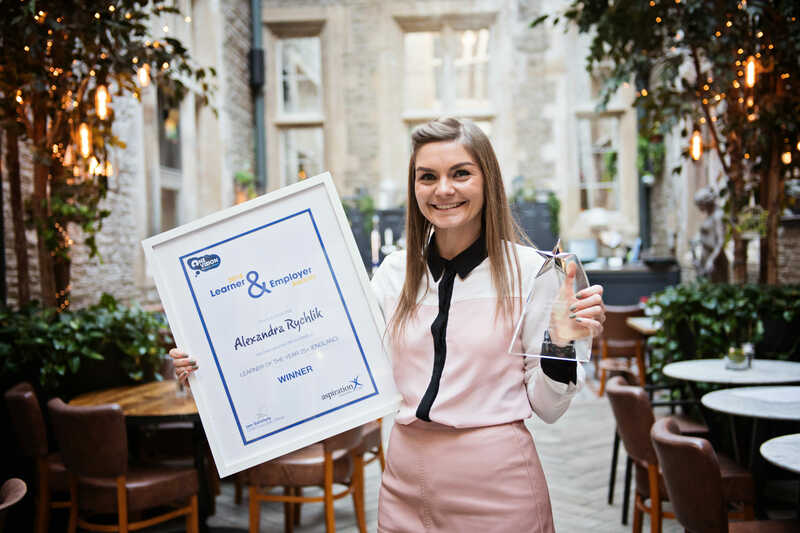 Kanes have also appointed a new Training Manager, Aleksandra Rychlik, to manage the apprenticeship programme and Aspiration Training has been so impressed with her knowledge and motivation, we have nominated her for one of the National Apprenticeship Awards. Read Alex’s story here. I wanted to tell you what a pleasure it is to work with you and your team. We have managed to put 14 candidates on the Team Leading level 2 Apprenticeship since April 2018, which is a great achievement considering that this has been the first time production employees were given the opportunity to progress and gain qualifications. The communication is great and I appreciate that you have always listened to my concerns, resolving them instantly. Aspiration Training are excited about working with such a quality focused and professional local employer and look forward to many years working together.